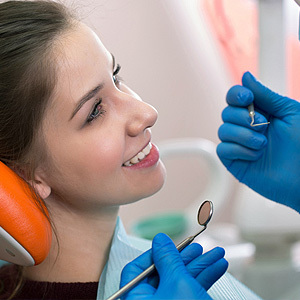 At Johansen Dental, located in Chandler, AZ, Dr. Grant Johansen gives his patients the necessary information to help them maintain a healthy oral regimen, and prevent problems like gum (periodontal) disease from occuring. Your gums are just as important as any part of your dental/oral health. Improper care may lead to severe issues. If you have questions or concerns about gum disease or gum disease therapy, call Dr. Grant Johansen in Chandler, AZ. If you are concerned about gum disease, know what you should look out for! While most people worry about keeping their teeth healthy, everyone should also spend some time ensuring that they give their gums the proper attention and care they need to prevent gum disease. Millions of Americans have gum disease, and it’s one of the leading causes of tooth loss. Dr. Kent Johansen and Dr. Grant Johansen are here to offer up the telltale signs and symptoms that you may have gingivitis or periodontal disease. Gingivitis is the earliest stage of gum disease. If you have gingivitis, then you’ll be relieved to know that it can be reversed with the proper care. If you have gingivitis you may notice that your gums are red, puffy and more likely to bleed when brushing and flossing. At this stage, it’s unlikely that your gums are causing you any discomfort. Of course, these symptoms should not be ignored, so it’s important that you call us if you are noticing red, inflamed or bleeding gums. 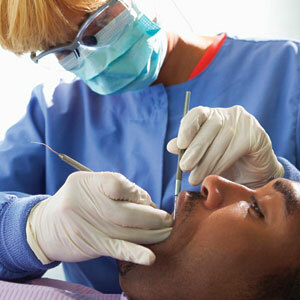 Who is at risk for developing gingivitis? While anyone can develop gum disease, those who don’t maintain good oral hygiene, those who have diabetes, are smokers, individuals that take certain medications, pregnant women, may be prone to gingivitis. Coming in every six months for routine care is a great way for our dentists to detect gum disease and treat it right away before there are complications. If gingivitis isn’t caught early on, it will turn into periodontitis. When this happens, this condition cannot be reversed. At this point, you may notice that gums are more tender and sore. They may also recede, causing your teeth to appear longer. 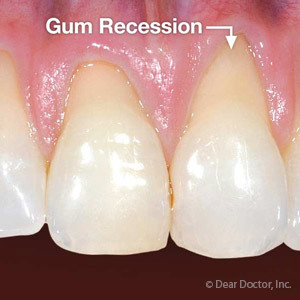 As they recede, infected pockets begin to form between the gums and the teeth. If this condition is left untreated, the pockets will get larger and bone and tooth loss may occur. If you notice irritated, sore or painful gums, this is a serious sign that you need to seek immediate dental care as soon as possible. Are you experiencing any of the symptoms above? At the first signs of trouble, it’s important that you call Johansen Dental in Chandler, AZ, to schedule an appointment. The sooner gum disease is detected, the easier treatment will be.